If you live in Anderson, you probably love your home: it’s in a thriving area which has been named among the nation’s best places for business among smaller U.S. metro areas, and is rich in history, with many local buildings listed in the National Register of Historic Places. You’ve probably met a few stars in your time there—maybe it was actor Matt Lutz or Indy car driver Bob Carey. But while there are many perks to living in Anderson, there’s likely one thing you dread each year: the possibility of your furnace failing on an inevitably freezing cold night. If you need furnace repair service in Anderson, IN, don’t worry—Service Plus has you covered. Contact us online or call us at 317-434-2627 to schedule service! Doing without the comfort provided by your furnace system during a Anderson winter is pretty much a no-go. And when your system goes on the fritz, you need a dependable solution fast! 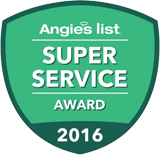 At Service Plus Heating, Cooling & Plumbing, our certified repair specialists make your needs an absolute priority. We bring you trustworthy service that gets your system up and running again right away, and we never skimp on quality! Need fast, top-quality furnace repair in Anderson? Contact the NATE certified professionals at Service Plus right away—317-434-2627! Unwanted cool or cold air – In the colder months, the last thing you need is even more cold air. This is particularly common with gas furnaces, and often indicates a problem with your pilot light. Our experts can help repair your furnace in Anderson! Bad or weak air flow – Poor air flow can come be a result of of a wide variety of issues, but they all boil down to one thing for you: bad heating and a cold home! Our team can locate and solve the source of your air flow problems, guaranteed. Drops in energy efficiency – Noticing an increase in your energy bills? Your system may simply be getting old, and if so, it might be time to replace your furnace. But if your system is newer, or the spikes in monthly costs was sudden, you may just need furnace repairs! Odd sounds coming from your furnace system – Squeaks, squeals, bangs, pops—your furnace can make a lot of sounds, and pretty much all of them are pretty bad news. These sounds usually mean a broken or loose component, and if you ignore it, that component can damage the entire furnace system—sometimes permanently! When you hear them, don’t wait to get repairs; contact an HVAC contractor in Anderson immediately. Strange, musty odors – It’s not unusual to get a brief dusty, musty smell when you turn your system on for the first time of the year. But if the smell persists, or comes and goes, you may need professional furnace repair. Start by replacing your filter, and if that doesn’t stop the smell, contact Service Plus! When it comes to furnace repairs, you want to make sure it’s done correctly and professionally the first time—you don’t want to have to call your Anderson HVAC contractor back to fix it again because he or she made a mistake! At Service Plus, our furnace repair experts take great pride in their quality furnace repair work. That means that you’ll get top-notch service that you can count on to continually and effectively heat your home all season. If you need furnace repairs in Anderson, contact Service Plus today—317-434-2627!